We recently did this holiday project at an Adult Craft Worshop at a local library. 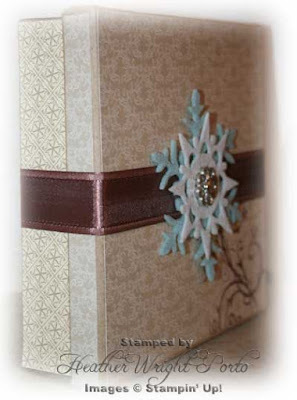 It features the beautiful Bell Bleu Designer Series Paper, many items from the Clearance Rack (like the felt snowflakes and wide Chocolate Chip Satin Ribbon). 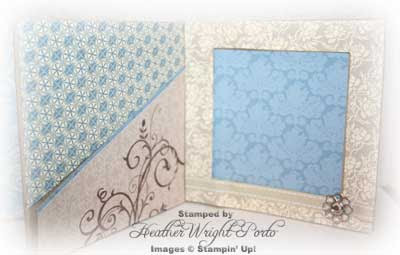 Rhinestone brads were also used as accents, other ribbons, and one of my favorite stamp sets, Baroque Motifs. View of the box the accordian album is in. Decorated with Bella Bleu paper, Chocolate Chip wide satin ribbon, a White and Blue felt snowflake and Clear Rhinestone Brad. The album cover. 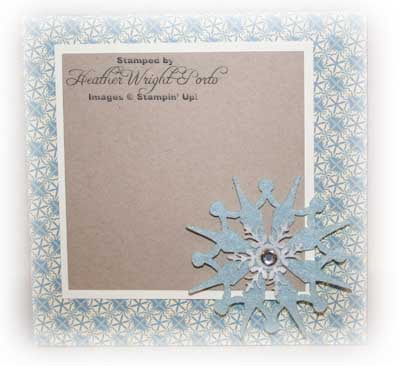 Decorated with patterned paper from the Bella Bleu designer series paper pack, Kraft and Whisper White cardstock, felt snowflakes and rhinestone. Inside the album. 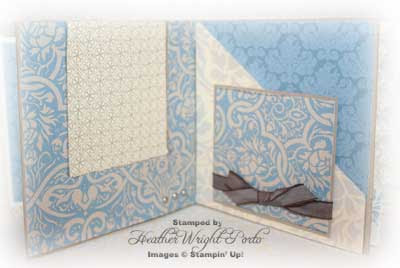 Decorated with Bella Bleu designer series paper, Whisper White and Kraft cardstock, with snowflake, Filigree Brad and Baroque Motifs swirl as accents. Another view of the insdie, again decorated with Bella Bleu paper and a small bow using Chocolate Chip Taffeta Ribbon. Last page of the album. 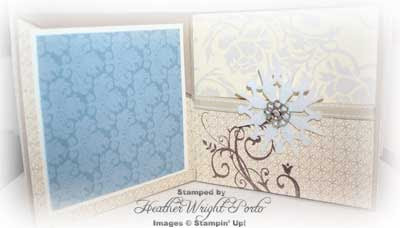 Decorate with Bella Bleu and accented with Baroque Motifs' swirl, ribbon and Filigree Brad. 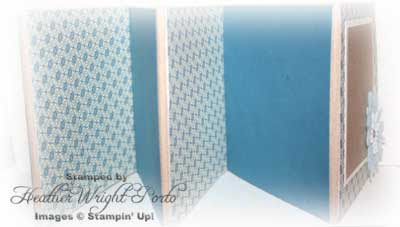 Lastly, the back view of the album decorated with Not Quite Navy cardstock and patterned paper from the Bella Bleu designer series paper pack.